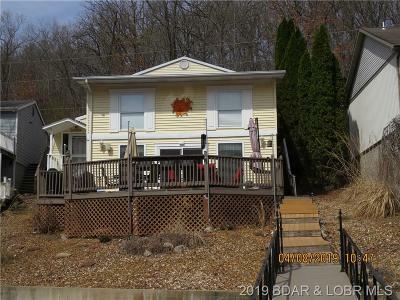 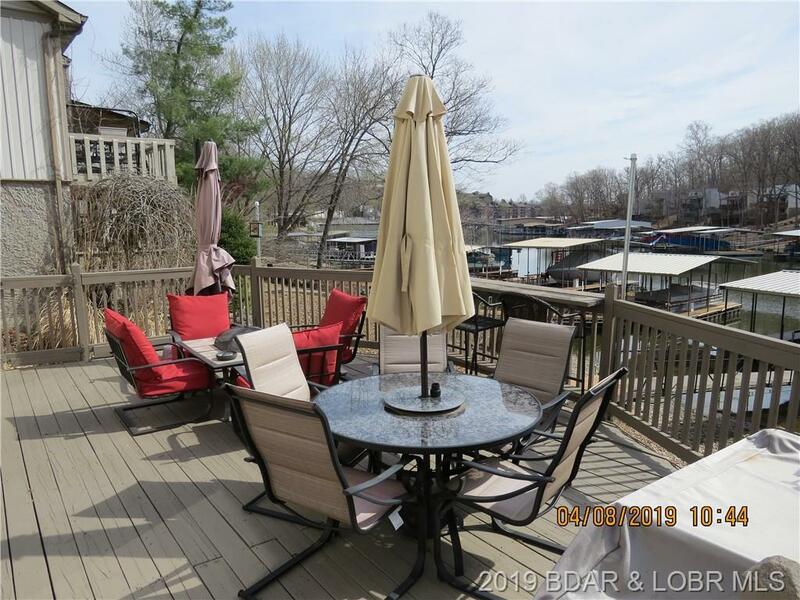 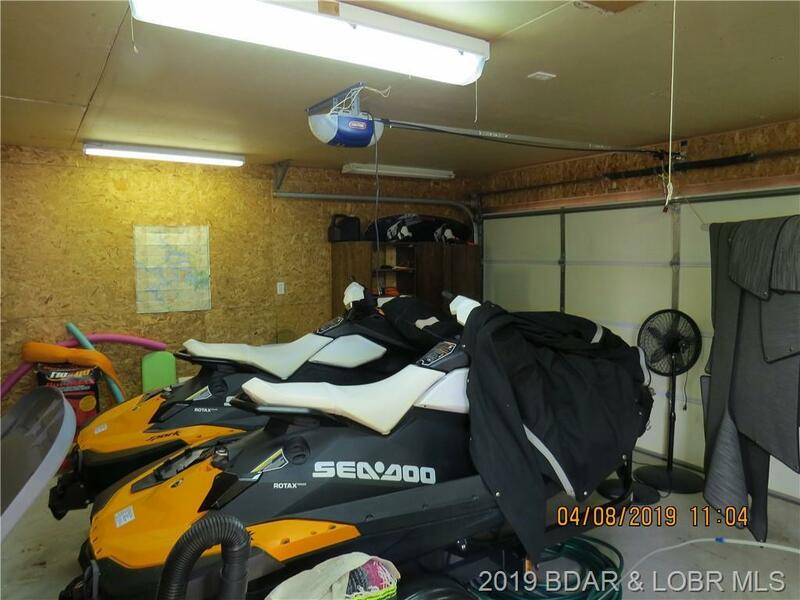 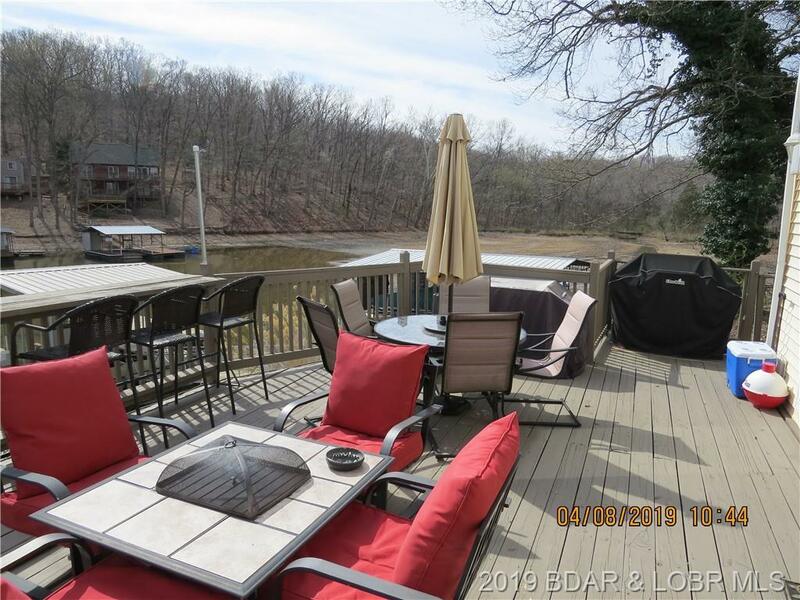 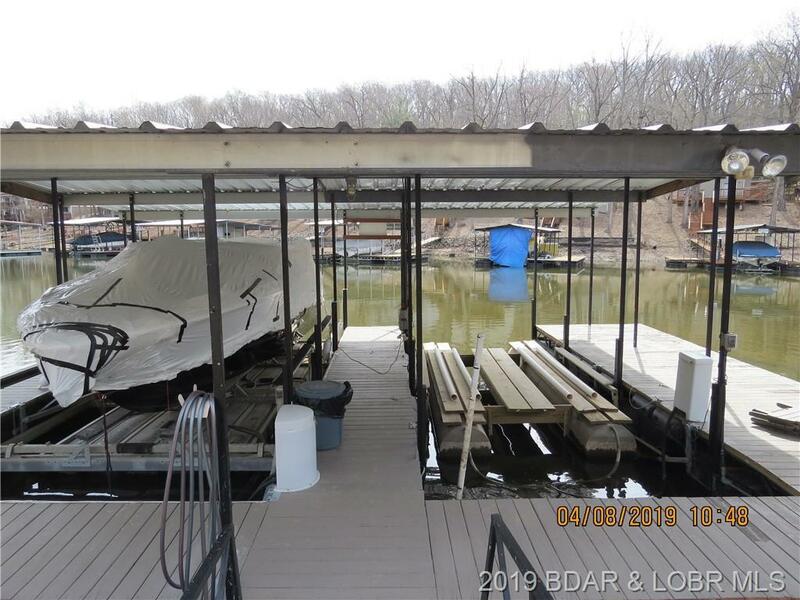 Affordable Lake Front Home In No Wake Cove with 2 well dock & 1 lift in Osage Beach Mo centrally located off KK. 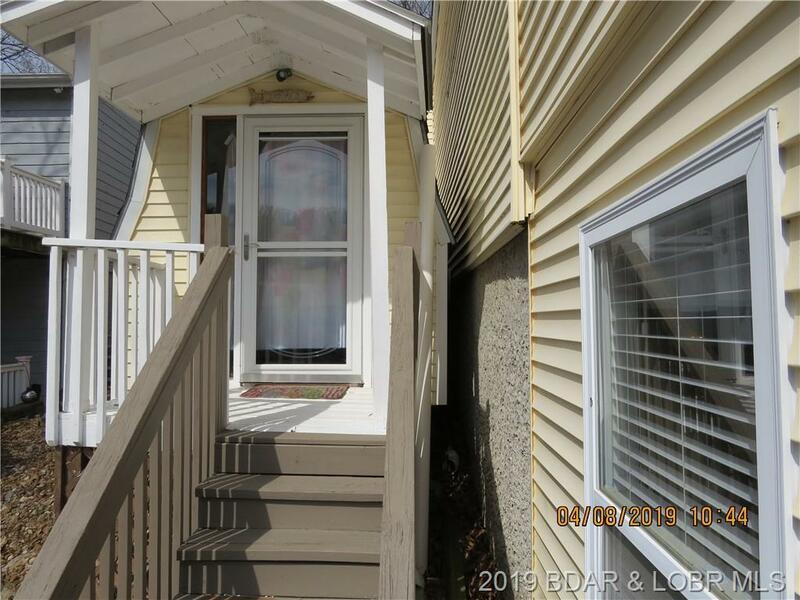 3 bedroom 2 1/2 bath with new heat pump & central air, new hot tub and a new roof. 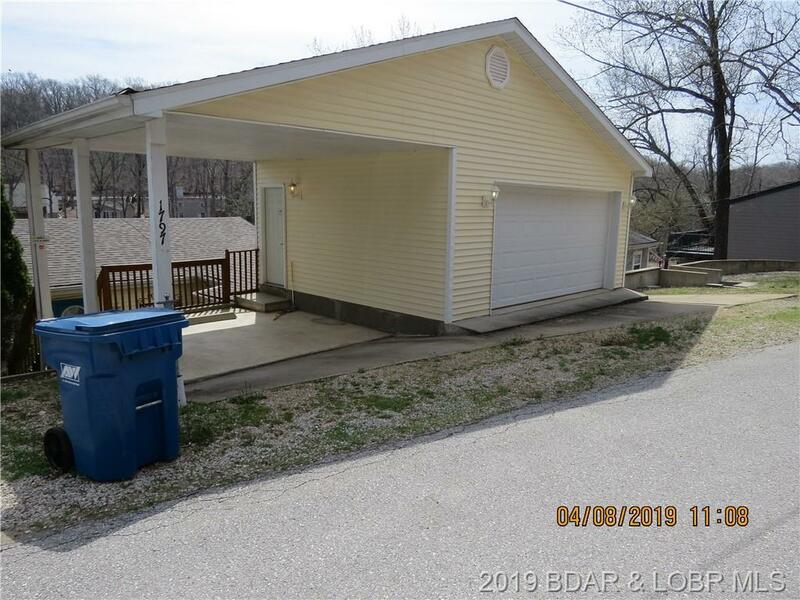 The garage has attic storage with attached carport. 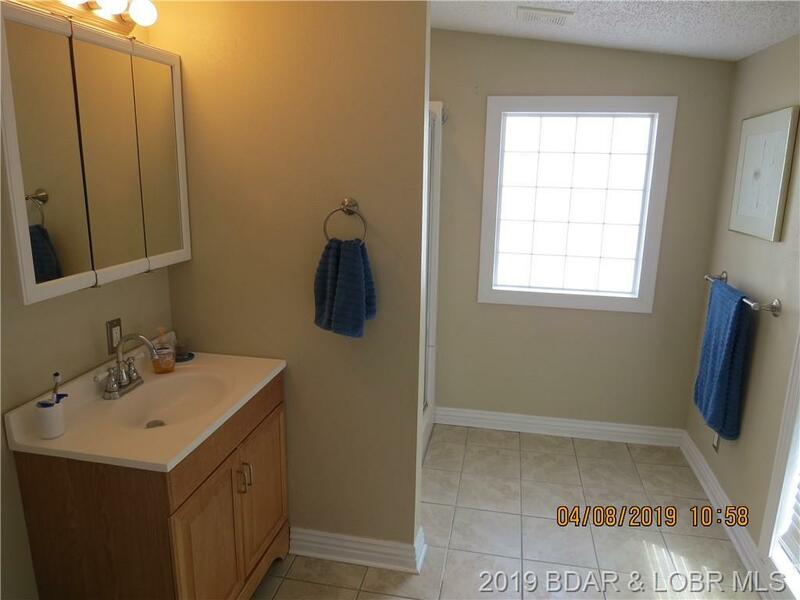 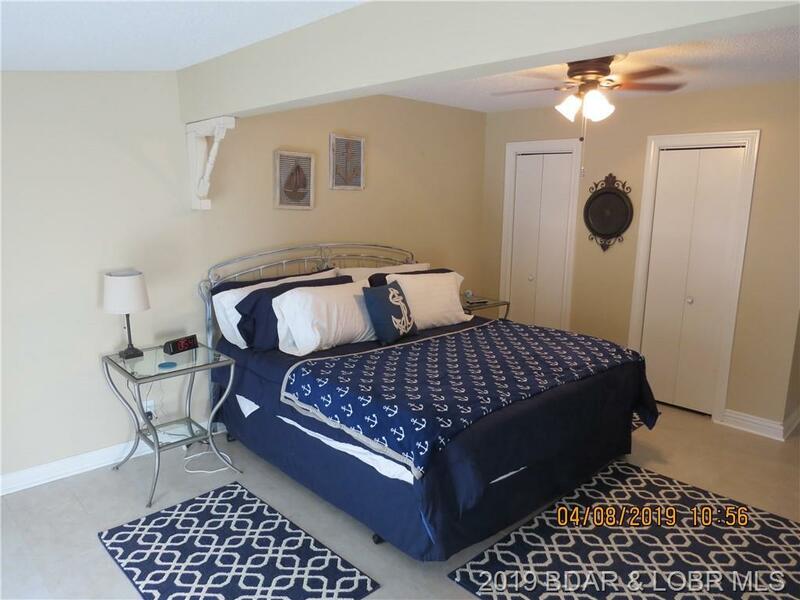 Upstairs there is 1 large master suite with full bath. 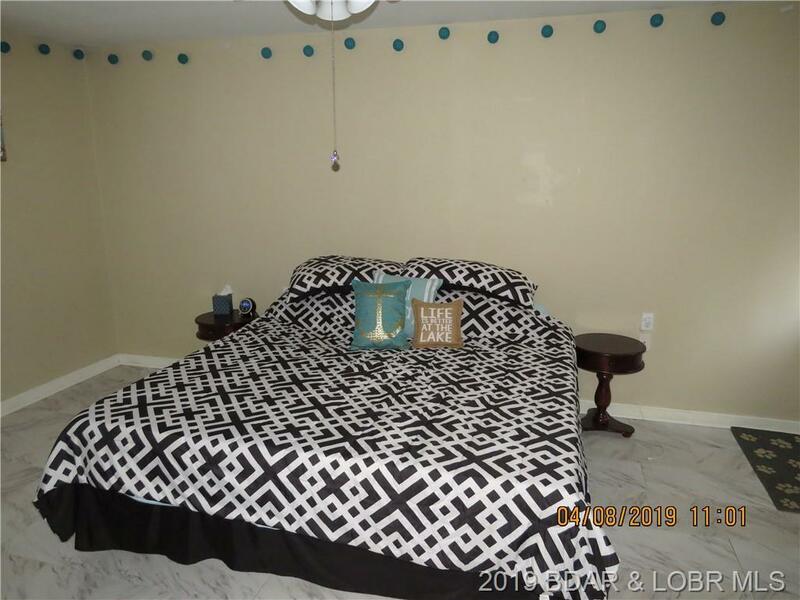 2nd bedroom room & 3rd bedroom as well as another full bath are on top floor. 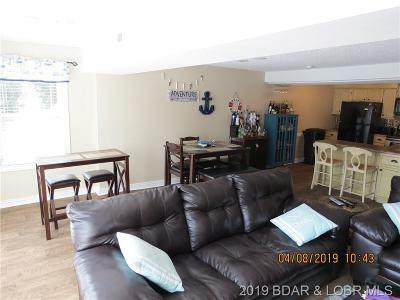 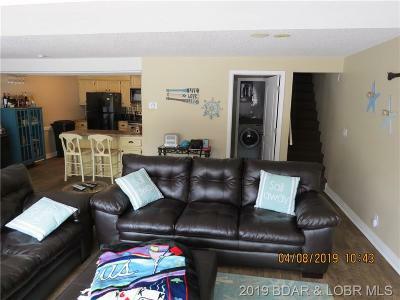 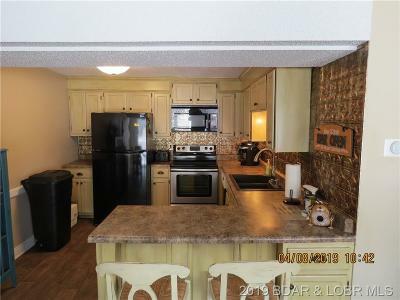 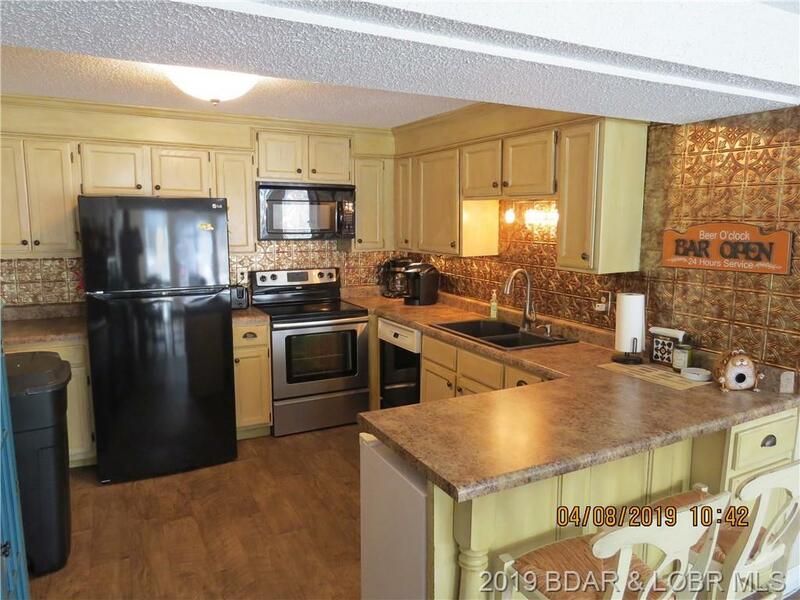 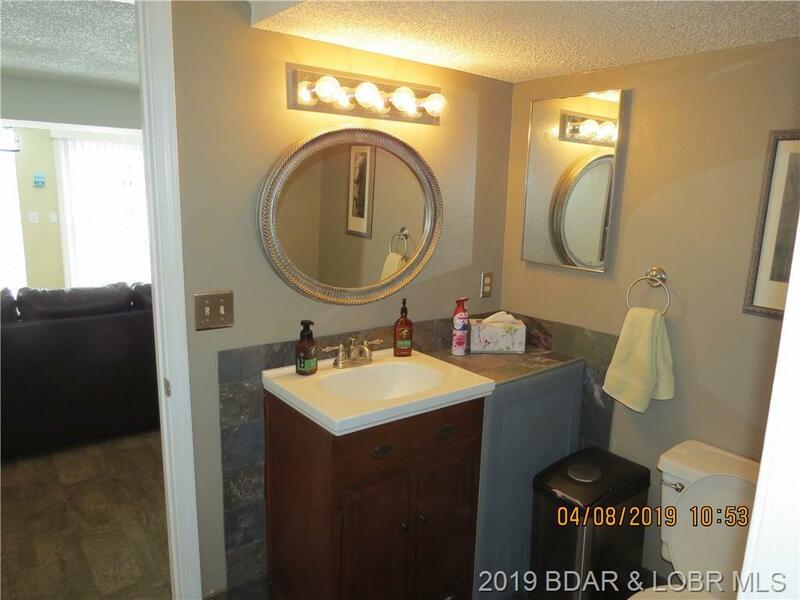 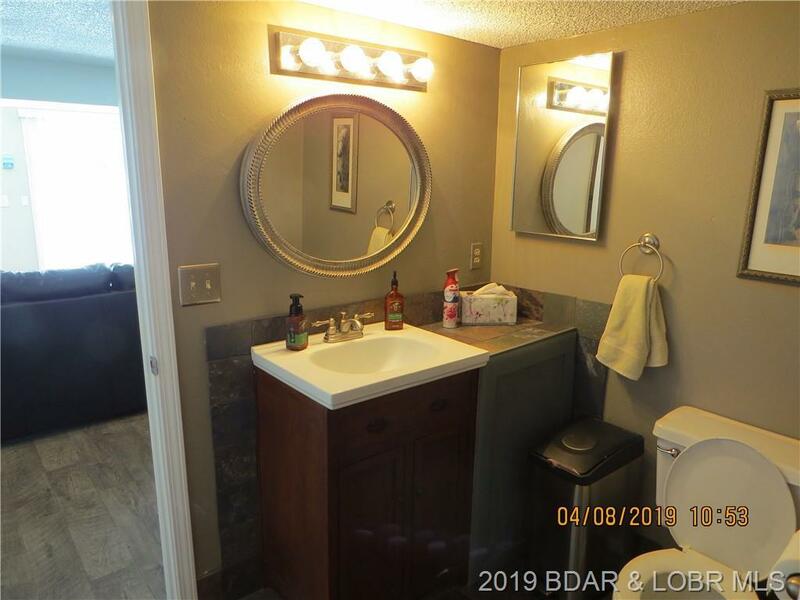 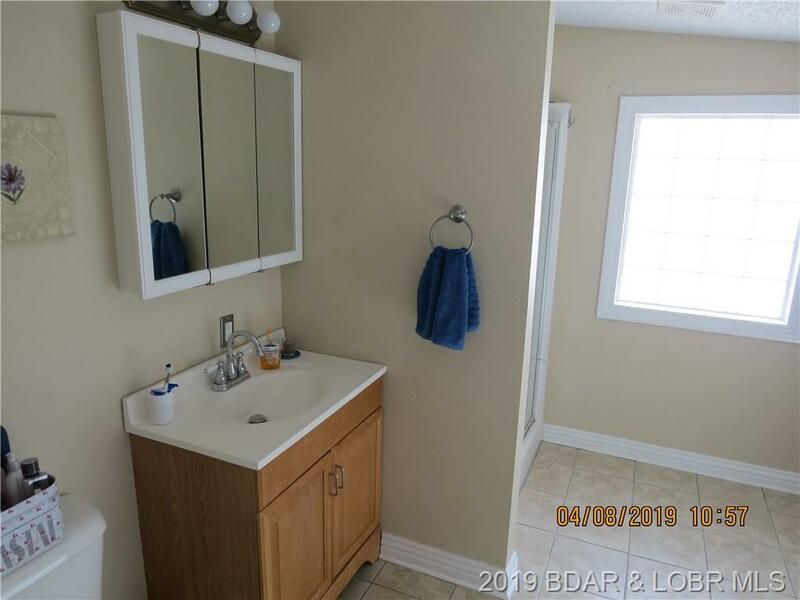 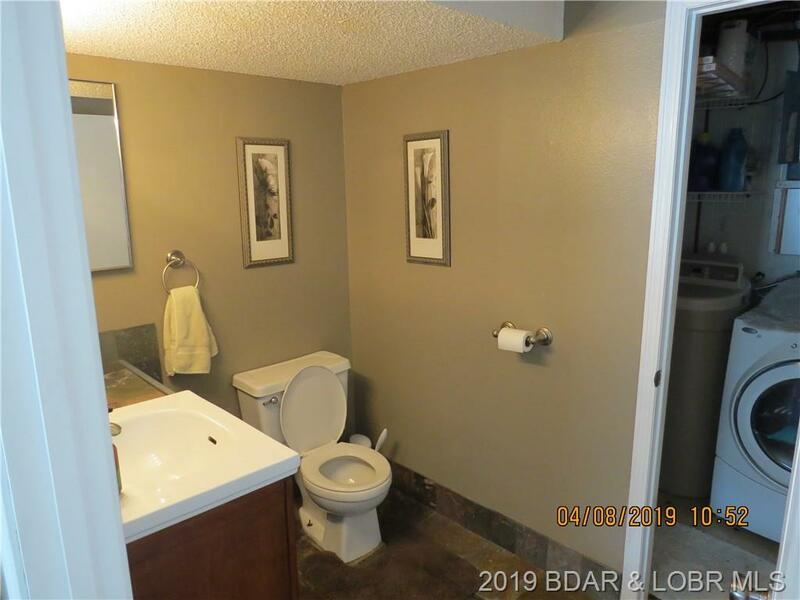 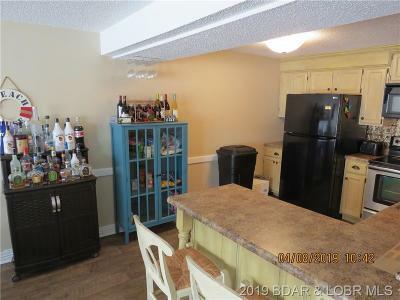 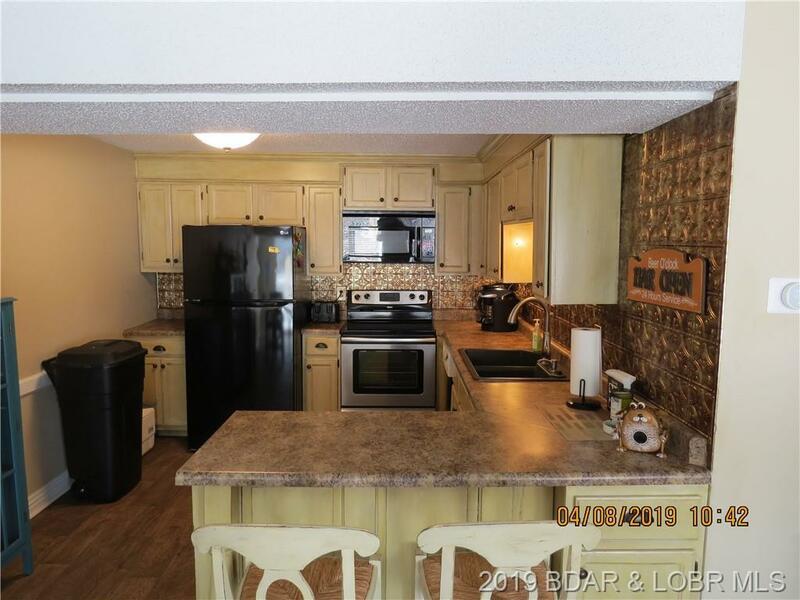 Downstairs is the laundry, 1/2 bath, large living room, dining & kitchen with open concept looking out to the deck & lake. 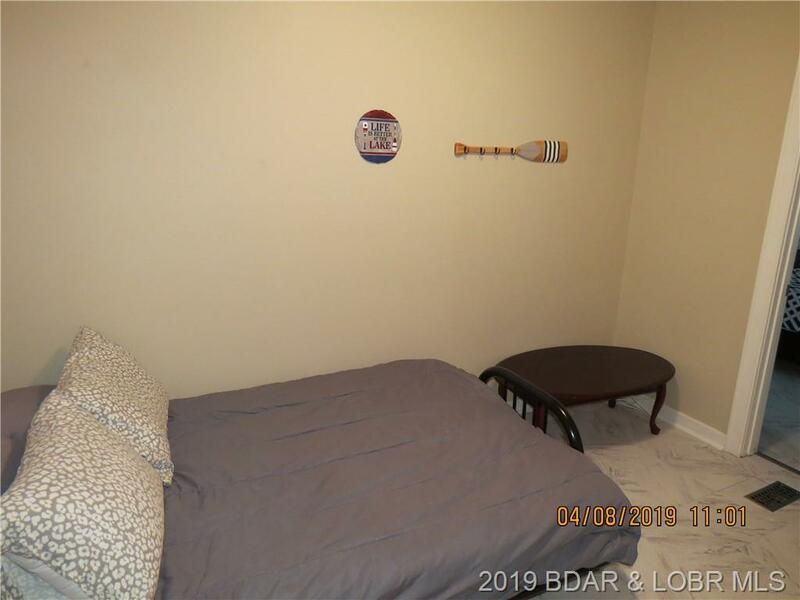 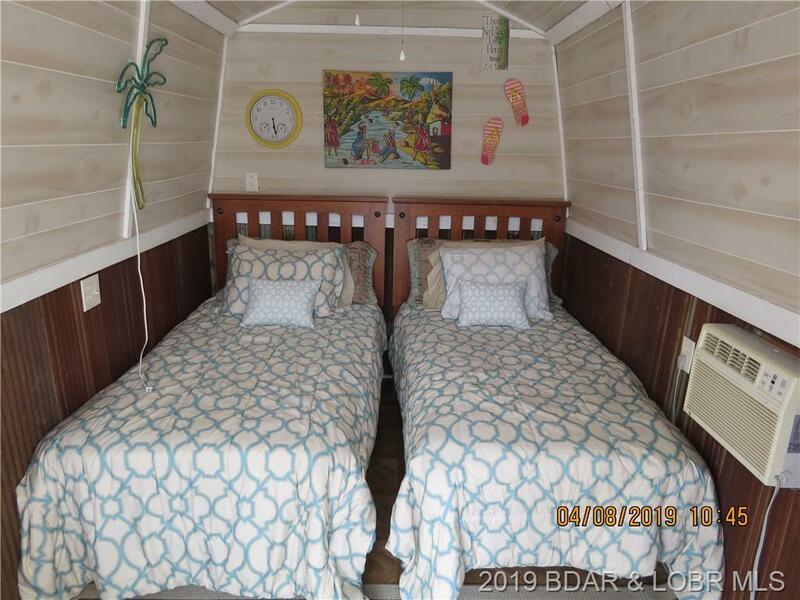 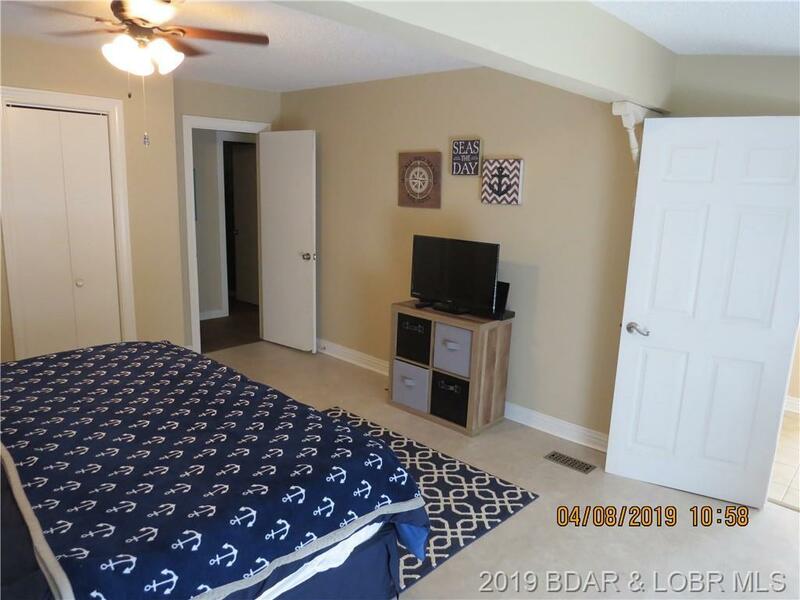 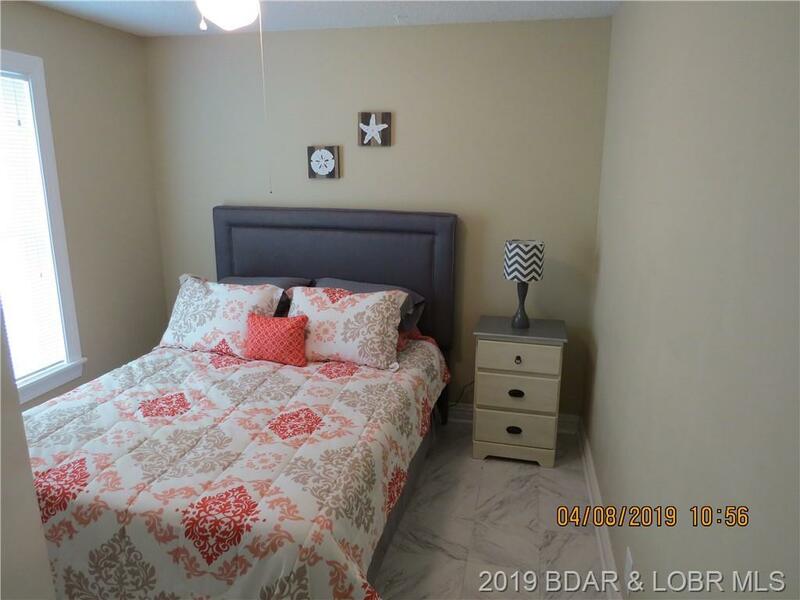 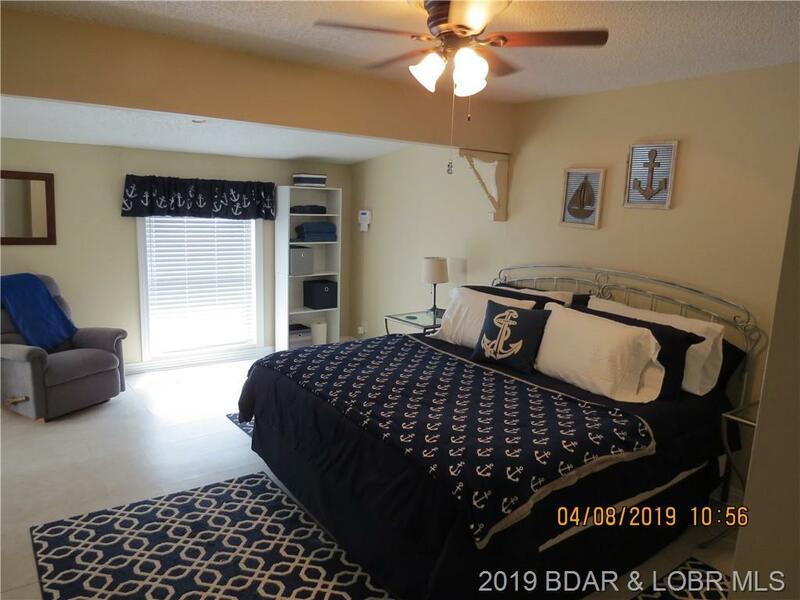 2 Bonus rooms for extra guests - 1 connects to 2nd bedroom for sofa bed or office - 2nd is a remolded small building just off deck that is great for a 5th bedroom. The home is right on waters edge & just a short boat ride to lots of Restaurants. 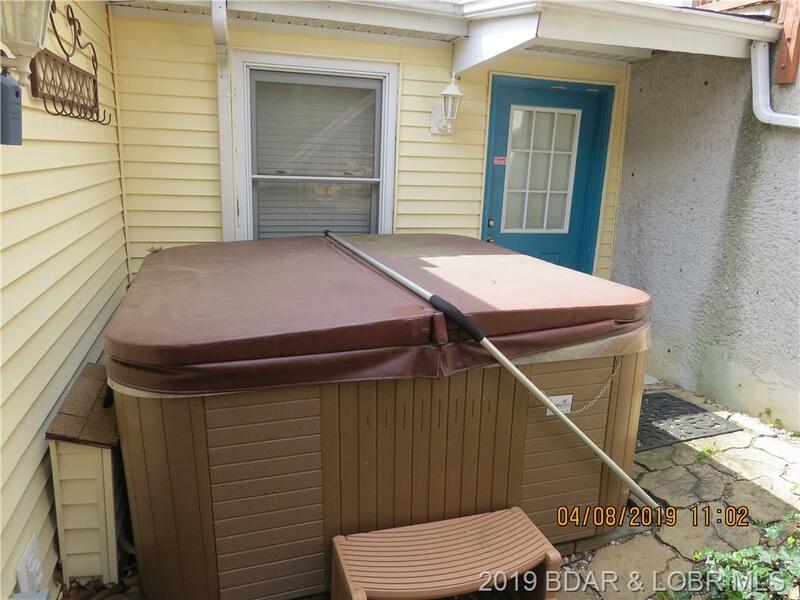 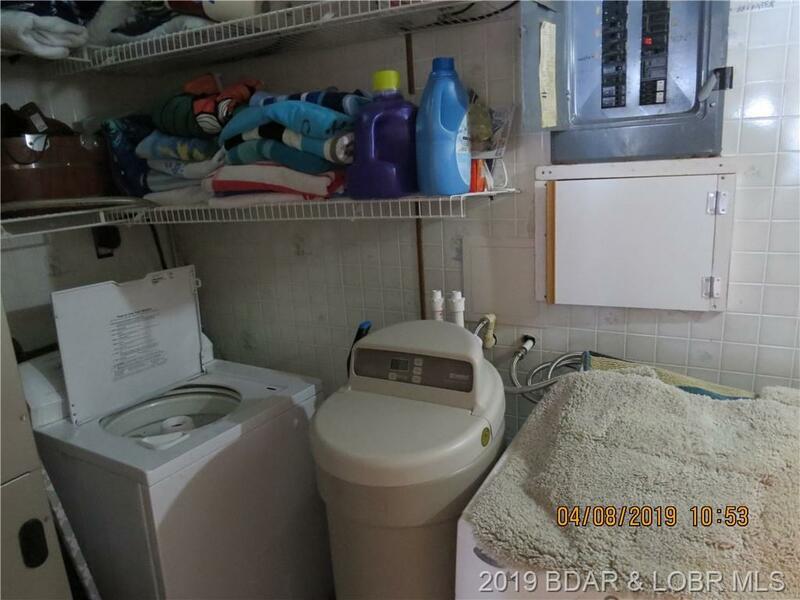 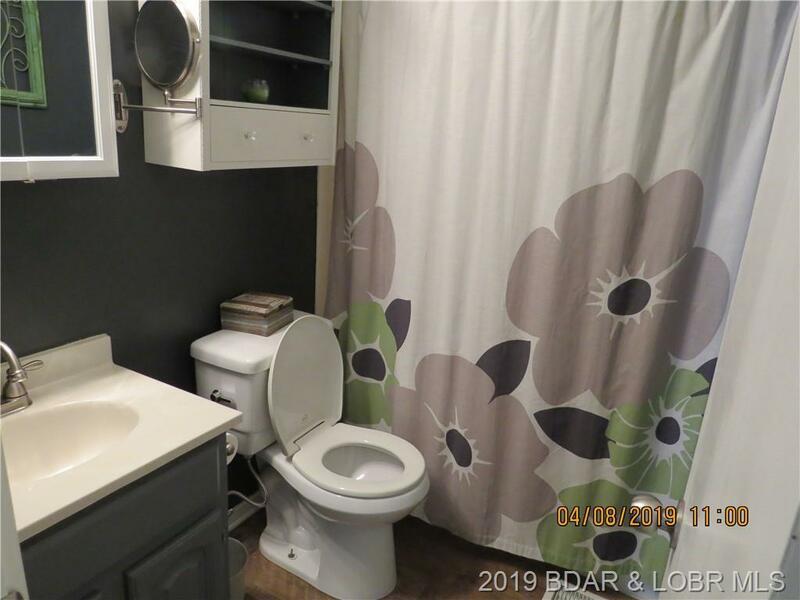 Home also equipped with blue tooth controls for both the AC and hot tub.